The director of this film pictured above is only 15 years old and her name is Natasha Vokes. 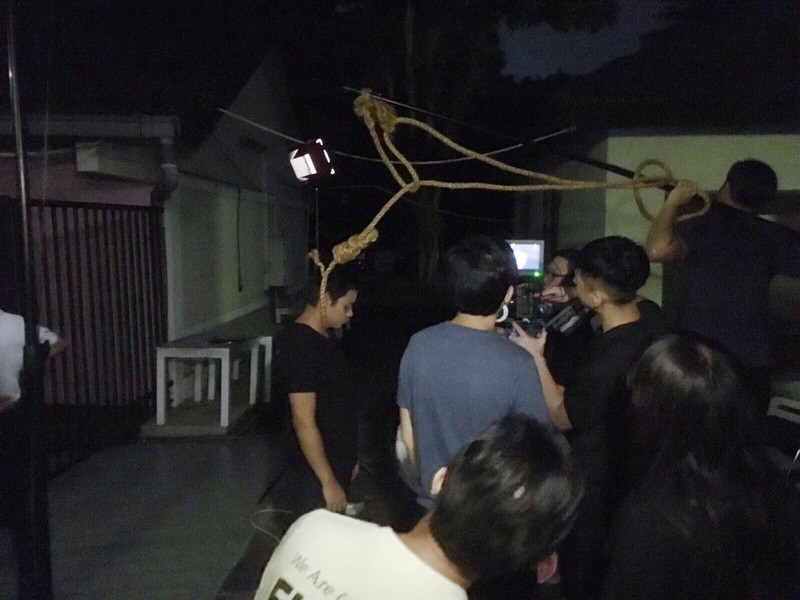 Containment, a short film that hopes to shed some light on mental illness, is one in a string of three short films by teens about various social issues. The level of understanding displayed about the issues in each of the three films by the teens in the production team, some as young as 11 years old, is jaw-dropping. The films are part of the 'Hot Off the Press (HOP)' Short Film Project. Organised by Singapore Creations ETC, 57 dedicated young people between the ages of 6 and 20 years, from all different backgrounds in Singapore, put their minds and hands together to make the three short films, titled Doll Fall, Never Perfect and of course, Containment. Themes: Mental illness & Suicide. A rich metaphorical journey of a young prison guard struggling with a mental illness as she moves from cell to cell re-living her past. This powerful story is a necessary wake-up call to the current statistics and projections from the World Health Organisation on mental illness and suicide. A satirical and at moments, chilling look at xenophobia as witnessed through the eyes of a little girl who modifies her dolls so that they all look the same. Through flashes of real life characters experiencing prejudice, this gritty short film shows how quickly we judge those who are ‘different’ from ‘us’. Themes: Cyberbullying & Body image. A candid look at two teenagers struggling with body image and cyberbullying, this film is a glimpse into a future world deprived of nature's beauty but its citizens are obsessed with personal attractiveness. Parents can design their ‘perfect’ babies yet cyber-bullying thrives. Will our young find a way out of this tangled web of self and societal destruction? The origin of the HOP Project stemmed from the strong reactions these teenagers had with regards to the news coverage on the bombings in France in December 2015. HOP provided a platform to engage in critical thinking and debate about the news. Given that this has been a harrowing week for the world, which is still reeling from multiple bomb blasts across different continents, the HOP Short Film Project could not have been more timely. 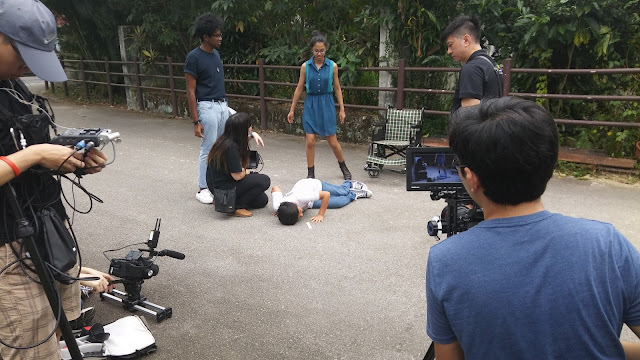 From script development to acting to art direction to editing, these kids were involved in every stage of the entire filmmaking process. HOP is their labour of love towards making a better world! Singapore Creations ETC is a not for profit arts organisation which works with a spectrum of young people, 6 to 20 years old, in Singapore, engaging in creative arts activities like filmmaking, theatre, music etc. as a tool of empowerment and transformation. It provides a free professional platform for young people to voice their hopes, concerns, fears and dreams through original artistic projects for the stage, film, video or music recordings. Even its Board of Directors is made of young people. Founded in 1979 in Montreal, Canada, by Clare Schapiro, the parent organisation Creations was established to give young people a chance to realise their potential to affect change and to actively contribute to society in a meaningful way. Marc Nicholson was one of the first young Montreal participants and later moved to Singapore where he started the Singapore version of Creations with Yen-Lu Chow. Singapore Creations opened its doors at *SCAPE in April 2014 and has since worked with over 400 young people. We posed a few questions to the team at Singapore Creations, namely Clare Schapiro (now the artistic director of Singapore Creations) and Irene Toh (Executive Director) to understand more about its culture and the impact its programmes have had on its kids. Singapore Creations Etc. is certainly a noble initiative. Could you share on what it does differently from other non-profit organisations? Singapore Creations Etc. has been providing a free artistic and professional platform to all young people 6-20 years since its foundation in 2014 by Yen Lu Chow and Marc Nicholson. They invited Clare Schapiro, founder of the original Creations in 1979 (Montreal, Canada), to be its Artistic Director. 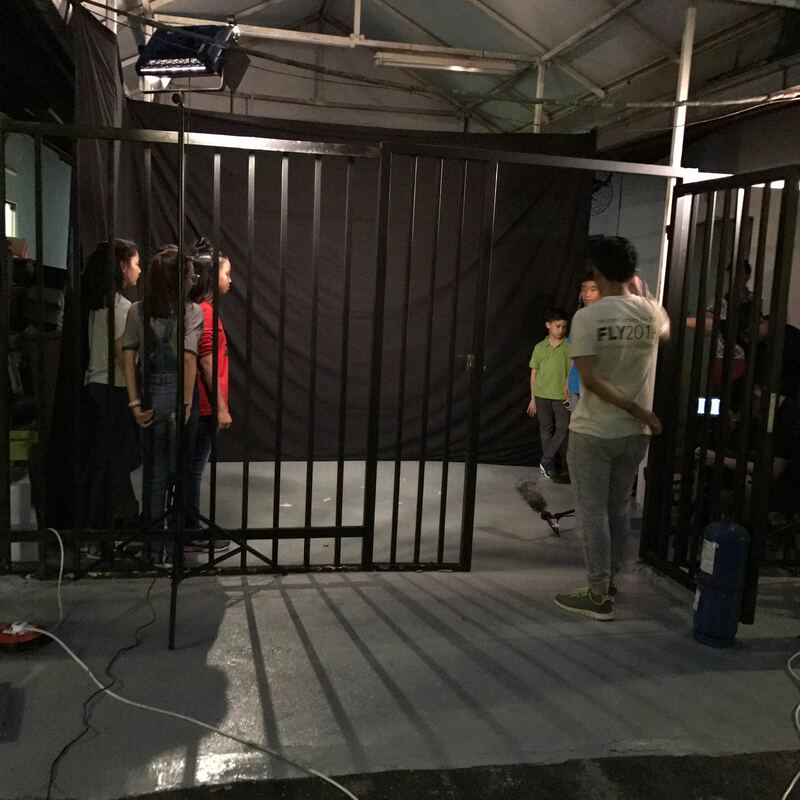 The unique aspects of Singapore Creations are that it is free and open to all young people between the ages of 6 and 20 years, regardless of age, gender, race or specific talent (no auditions are needed). All artistic material is generated, written, composed, performed, designed, and promoted by the young participants and guest artists and facilitators work with the participants to guide and discover with them. Some of the young Participants also sit on the Board to input and share responsibility for artistic programming, fundraising, outreach, and to discuss sensitive issues regarding participants, themes and/or local/international news events. We are focussed on developing soft skills such as conflict resolution, empathy, integrity, and understanding. What's interesting is that we do not adhere to conventional student/teacher or child/adult relationships. We promote meaningful discussion on the fears, hopes, dreams and concerns that affect today’s kids by encouraging dialogue and tapping into their inherent creativity and unique imaginations. Ultimately, we are an advocate of young people’s rights. What are the gaps you see in Singapore's society that you feel SG Creations could play an important part in? Worldwide, parents and educators are actively adjusting to the new era of connection and technological augmentation. Creativity is about the quest, the exploration and the collaboration, which is sadly not receiving equal merit with the external directives like job training and academia in Singapore, although we understand this is changing, but not quickly enough. If no one asks for humanistic qualities, evolved individuality and consciousness, we will unfortunately produce a herd of compliant sheep unable to feel alive. Could you share some inspiring stories about how SG Creations has helped or impacted some of these teens/kids? Here is a sampling of what some of the kids have written on what Creations means to them and its impact. Since we opened our doors 3 years ago, we have worked with about 400 kids from all cultural and socio-economic backgrounds SG has to offer, including those from groups homes, those with special needs and some who would be considered marginalised. Without disclosing personal stories and thus their identities, we know that the role Creations plays in their lives is one of strength, belonging, safety, and inspiration. Whether they are victims of bullying or are in fact bullies, they will get to the core of their behaviour through the creative process. Many find great inspiration in being with other kids and professionals whose paths they would never have crossed; in being part of an artistic project that they are responsible for; in recognising that no matter what hand they were dealt with respect to family, school, physicality, academic ability, “talent”, their ideas and thoughts will get voiced and they will find their way to better self-esteem, integrity and compassion. “Empowerment” is not a product to be fabricated, it happens organically as a consequence of the creative process. Creations is a place where you get to explore what you believe in. When I first arrived at Creations, my brain was all about study! study! study! - but here there was a sense of freedom. Everybody is accepting and it’s 100% free. And it is so diversified so I never had any problems fitting in and that’s why I genuinely like Creations. Male, age 11:SG is a really straightforward place, if you’re good at something you just keep on going up, up, up, but you don’t get to say what you really feel about something. At Creations I get to express myself and we talk about the really big issues in the world. 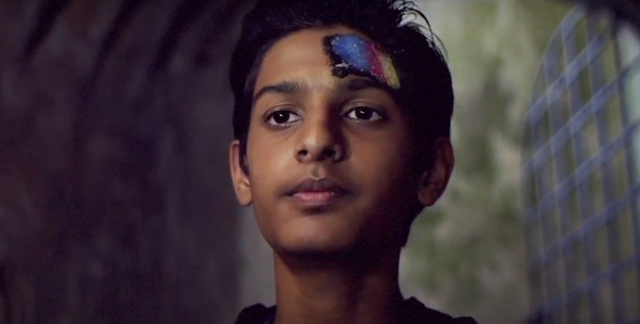 Male, age 13:Creations has introduced me to so many people, it has helped develop my acting skills but most importantly, it has helped develop me as a person because I don’t think I would be anywhere near who I am at this point in my life without Creations. I also think Singapore needs Creations because there is too much stress on academics, grades, and to do everything you can to get into a good college and have a good life, but I think there’s too much emphasis on that in SG and Creations takes that stress away from us. Female, age 20:Creations has helped me by providing a space to express myself creatively. It gave me the platform to accomplish things I thought I would never have the chance to achieve! How do you make these kids/teens confront and understand difficult issues, several of which were dealt with in the 3 short films? The environment encourages open and honest discussion on any topic. We don’t make the kids confront the issues, they initiate them. It is their reactions to their peers’ opinions on any given issue that are most revealing. During the creative exploration they develop a wider understanding and in effect reflect, evolve and mature. It is the soft skills they are engaging, in every aspect of the process. 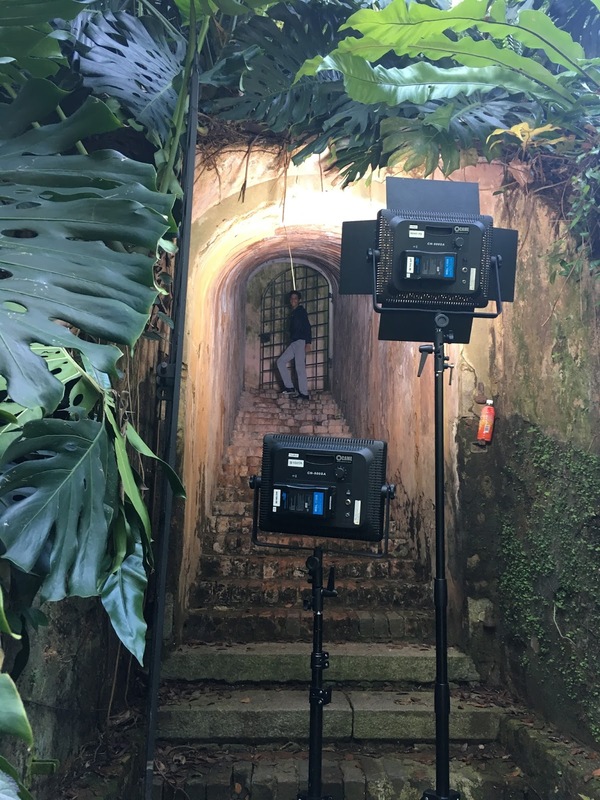 The three Hot Off the Press films (Containment, Dolls Fall, Never Perfect) will be screened to the public on 10 June at *SCAPE - Gallery, Level 5. Book your free ticket via www.sgcreationsetc.com now!